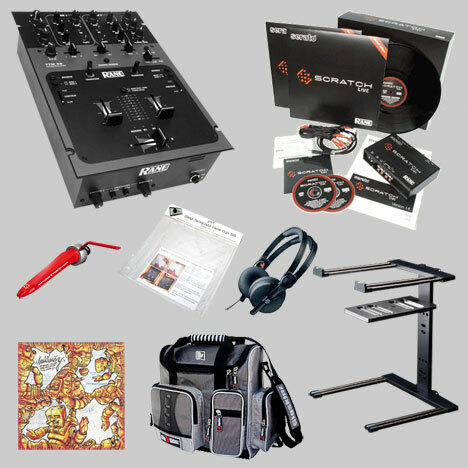 The Rane Fest Big Bloody Prize Giveaway! Let's face facts - this is the reason why you're even reading the Rane Fest right? Just the chance of getting some goodies more than anything else. But this isn't the usual skratchworx competition - I've pulled out all the stops, twisted some arms and put together a prize that you're not likely to see anywhere else in a hurry. One lucky winner will get a prize to be reckoned with, something that will give them the best part of the best DJ setup on the planet. So now the tension builds as the entries are collated, scrutinised and then randomised so that a skratchworx reader can pick the winner at random. Good luck to all who entered!